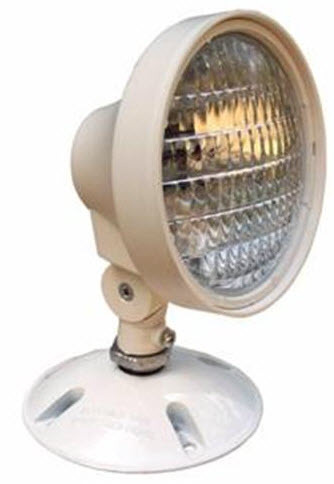 Single remote weatherproof emergency head fixture works with emergency lighting where it can be connected with a full emergency light. This can be used outdoors and wet environments. It's important to meet local codes for emergency lighting for the safety of people that use their building. - Used with remote capable emergency lights remote capable combo exit/emergency light.